It’s generally accepted that a message size of around 20MB is too large to send via email, and you’ll find in lots of cases that mail servers will actually refuse to accept files that are this big. There are, however, many servers that don’t limit the message size, which means if you try and share that high-quality 150MB video of your cat performing Dancing Queen, both your network and the recipient’s will work overtime trying to deal with it. Large messages cause long delivery delays in email systems, system hangs, and in this day and age, just really shouldn’t be sent via email because there are much better ways. These are my current top 3 alternative methods for sending large files – although new ones are of course popping up all of the time. 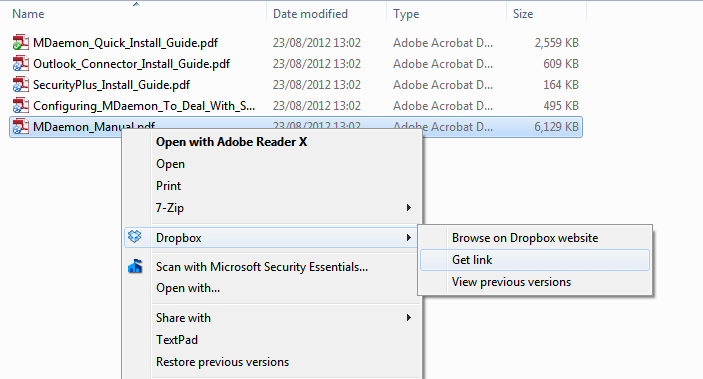 Dropbox is arguably the easiest to use of the file synchronisation and sharing services. It’s free to set up an account which gives 5GB of storage space, and if you need more you can add to it for a relatively low monthly fee. There are two main ways to use Dropbox, either within the browser or through an installed application for Windows and MacOS or mobile devices. Personally, I prefer using the application as this gives me a local ‘Drop Box’ folder that I can simply drop files or folders to and then right-click to share with other people. One of the benefits of using this method is that if changes are made to the local file, those changes are re-synced and the shared file is updated automatically. A better solution than bouncing a document back and forth via email. Quick, easy to use and available on many mobile devices. If you’re not in the business of sending large files on a regular basis and just want a quick and simple method to send the occasional file to a recipient – using a non-signup service like ‘TransferBigFiles.com’ may be a better option. TransferBigFiles.com is a free and simple to use service. You can upload a file without needing an account and an email is sent to the recipient with the link. If you need a little more control like editing the message content, password protection or notification of download, then you are required to register (free) but this only takes a moment. Another nice feature is that the link only remains live for 5 days, so you can upload a file and forget about it without having to manage a folder full of old files you’ve previously sent. An ideal solution for occasional use. My third and last suggestion is Google Drive and Google Docs . Quick to set up and even quicker if you’ve already got a Google account which I suspect is highly likely! Just as with Dropbox, there is a Google Drive application for Windows, which allows you to drag and drop files and have them sync directly with your Google space. However, unlike Dropbox and another competitor I’ve used in the past, SugarSync, you’ll need to use the web interface to share a file with another person. 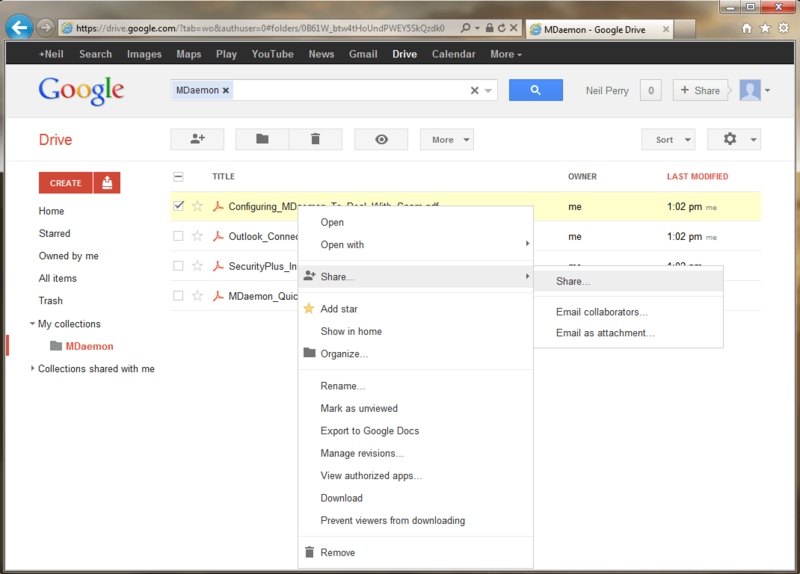 Google does offer one big advantage in its ability to collaborate on a document not just share it. In practice, this can work well but if you have ever tried to work on a public collaborative document with 30 other people, there are times when it can feel like it’s getting somewhat out of hand! That concludes my quick look at the alternatives to saturating your network with giant files – I’m aware there are hundreds more I haven’t mentioned so, by all means leave any suggestions on the comments below if you’ve been impressed with any particular service. 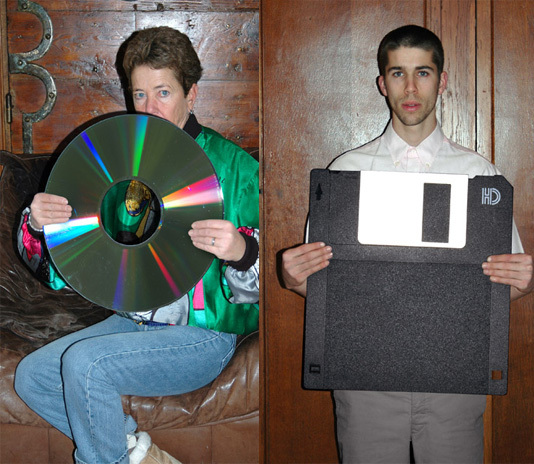 With most tools it is pain in the bu** to transfer big files over the internet. 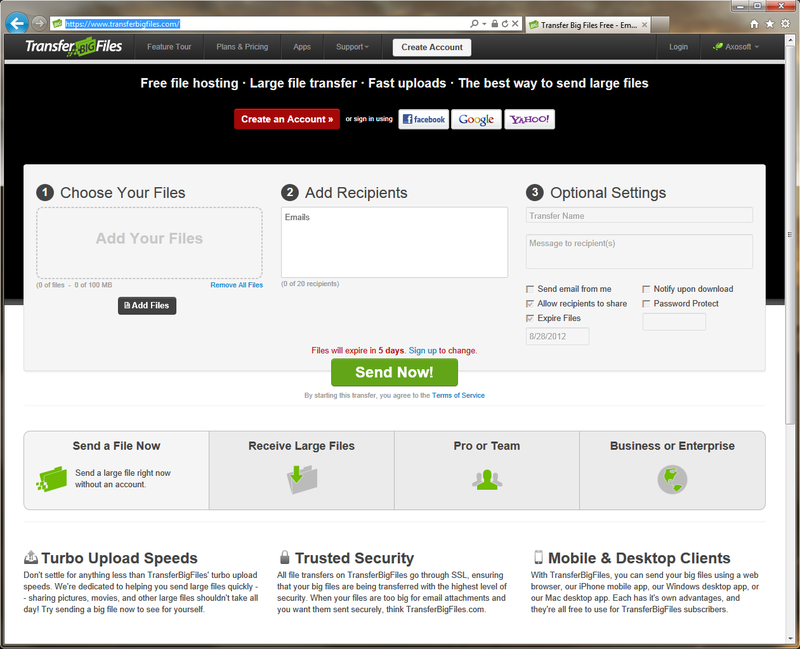 Binfer makes it quite easy to transfer big files. Also, it does not have the 2gb size restriction. Thanks for the contribution Lucy but this particular article is just about those services that are free of charge so it’s not one we’d include. Whilst the options you give are valid I think it would be worth mentioning the security risks in using these services for confidential data. Dropbox doesn’t have the best record in this regard…. I agree that using any Cloud service will have its security considerations and this should be thought about if you are sending secure information via email.